Iranian foreign minister cites Scroll of Esther, Book of Ezra, to show Jews have nothing to fear from Iran. 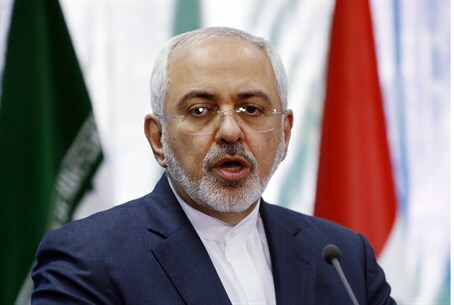 Iranian foreign minister, Mohammed Javad Zarif, cited the Scroll of Esther and the Book of Ezra to try and make the case that Israel has nothing to fear from Iran and the Persian people. “He even distorts his own scripture. If you read the book of Esther, you will see that it was the Iranian king who saved the Jews. If you read the Old Testament, you will see that it was an Iranian king who saved the Jews from Babylon. Esther has a town in Iran where our Jewish population, which is the largest in the Middle East, visit on a regular basis. “It is truly, truly regrettable that bigotry gets to the point of making allegations against an entire nation which has saved Jews three times in its history: Once during that time of a prime minister who was trying to kill the Jews, and the king saved the Jews; again during the time of Cyrus the Great, where he saved the Jews from Babylon, and during the Second World War, where Iran saved the Jews. NBC's Ann Curry quoted a tweet made by Ayatollah Ali Khamenei seven months ago, in which the “supreme leader” said: "This barbaric wolf-like and infanticidal regime of Israel which spares no crime, has no cure but to be annihilated." She asked Zarif if he could understand why Jews and others “would take umbrage” at that kind of language. “No, I won't,” he replied. “Because this is a regime. We're talking about Mr. Netanyahu, who has butchered innocent children in Gaza. We are not talking about annihilation of Jews. We never have, we never will. Because if we wanted to annihilate Jews, we have a large number of Jewish population in Iran who not only live in the country in peace, but, in fact, have a representative in Iranian parliament allocated to them, disproportionately to their number. Zarif said that the United States and Iran have nearly reached a nuclear arms deal, though there are still details left to be negotiated. “We never had a bomb, we will never have a bomb, we are not looking to a have a bomb, we do not believe a bomb is in our best interest,” he claimed.